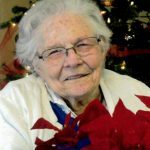 GRANBURY, Texas —Graveside Services for Norma Jean Law, 88, of Granbury, are 2 p.m. Friday at the Holly Hills Memorial Park: Pastor Richard McPheeters of Tulsa, Oklahoma will officiate. A Memorial Reception to follow services: The Waterview Club House; 101 Watermark, Granbury. Mrs. Law died Sunday, April 7, 2019. She was born September 26, 1930, in Austin, Texas to William Harvey and Lennie Marion Moore. She was a member of East Side Church of Christ in Kermit. She married Rex L. Law on May 21, 1949 in Austin, Texas. She is survived by husband Rex Law of Granbury, Texas; son, Jimmy Law and wife Helen of Willis, Texas; daughter, Barbara West and husband Brian of Granbury, Texas; son Wendell Law and wife Kristi of Midland, Texas; and son Wayne Law and wife Kim of Katy, Texas; ten grandchildren, twenty-four great grandchildren and six great great grandchildren and her sister, Emily-Lou Biggs of Garland, Texas. She was preceded in death by her parents, William H. Moore and Lennie M. Moore, and her brother Billy E. Moore. Aunt Norma had the kindest, gentlest smile! I remember so many dinners and family get-togethers. It is always hard to get a word in with all those Laws (LOL) but she would smile and let the conversation flow around her. My Sweet, precious Aunt Norma was one of the most beautiful women I've ever known! She just aged more beautifully. I never heard her say an unkind word or complain. And she loved me unconditionally. Just a lovely life. Nearly 70 years with my Uncle Rex. That's just amazing! Be in peace. Love you family! I am so sorry for your loss. My parents were at the nursing home where she was. I loved to see her big smile in the hallway.